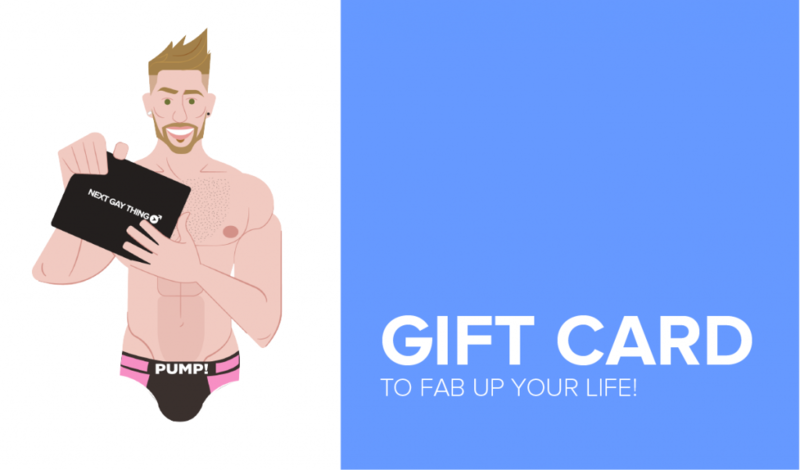 Whether you want him to test out beauty samples, get a pair of hot underwear picked out for him or get it all and feel like a VIP, the choice is yours! Did you receive a Gay Gift Pack? Redeem it now! …OR GET A GIFT CARD! You can also get a gift card instead to make things easier! Hot designer underwear & grooming product samples. Designer underwear & one grooming product sample. Sending a Gay Gift Pack is simple, just follow these three steps! Choose the Gay Gift Pack you like the most, the number of pairs you'd like with it and place an order. Our gay stylist team will pick the things we think he’ll enjoy the most from premium brands. 3. HE GETS THE PACK! He receives your chosen Gay Pack at his door and can enjoy his treat for that month!